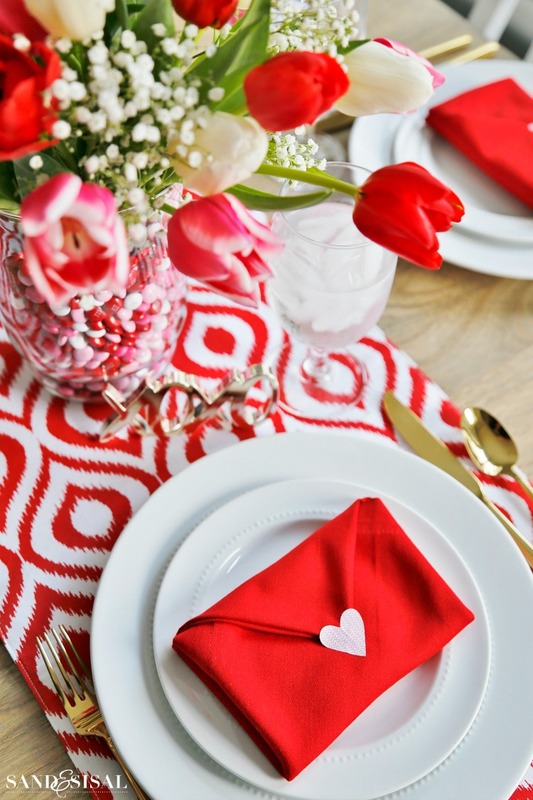 Valentine’s Day is right around the corner and if you need new inspiration on how to decorate and entertain this holiday then you have found it! This week I’m participating with 28 bloggers in the Styled + Set Holiday Entertaining Blog Tour hosted by Designthusiasm. If you are coming over from So Much Better with Age, welcome! 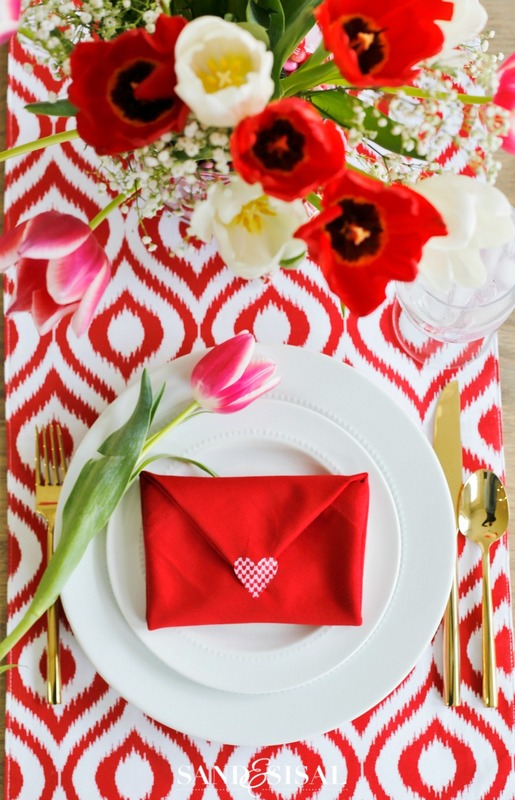 Today I’m sharing my Valentine’s Day Table Setting with Envelope Napkin Fold. 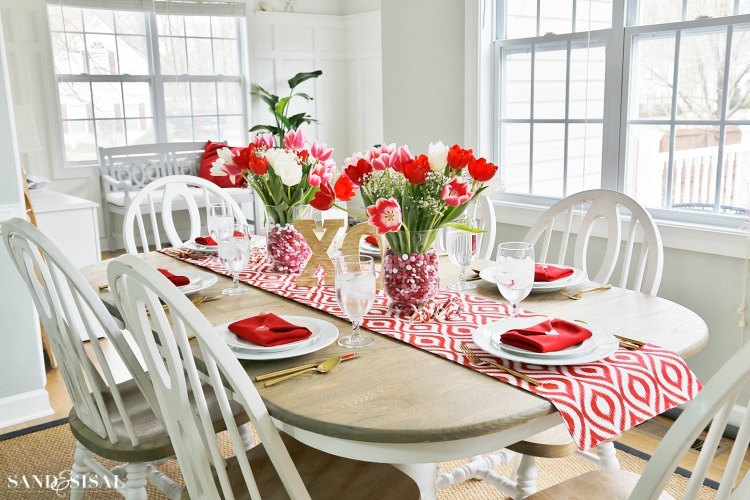 In past years, I’ve chosen Valentine’s Day decor with a very neutral, soft, and subtle color scheme, but this year will be filled with traditional bright and bold, red, white and pink! The table is set for Valentine’s Day dining. My family enjoys a fun Valentine’s breakfast of strawberry crepes, heart shaped pancakes, or chocolate raspberry Valentine croissants. 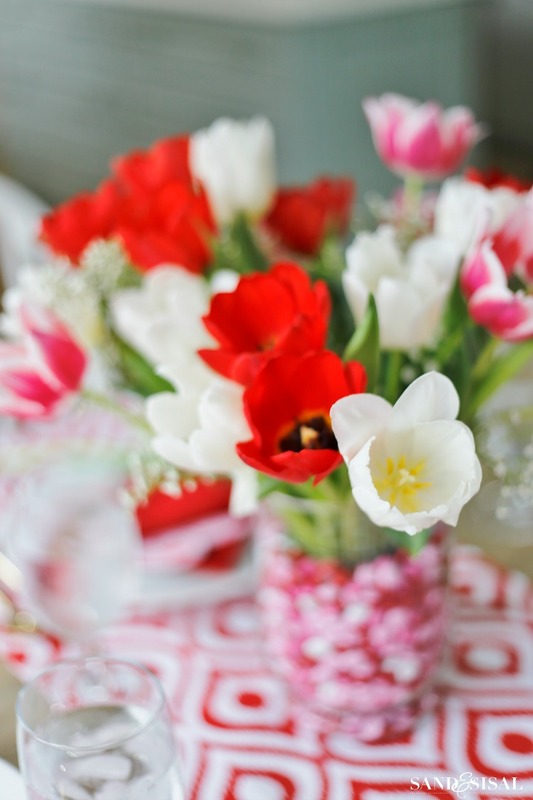 Our grocery store had a fabulous deal on tulips so I bought up bunches in creamy white, bright red and varigated deep pink. Did you know that tulips are very phototropic? This means they are stimulated by light and will keep growing towards the light. 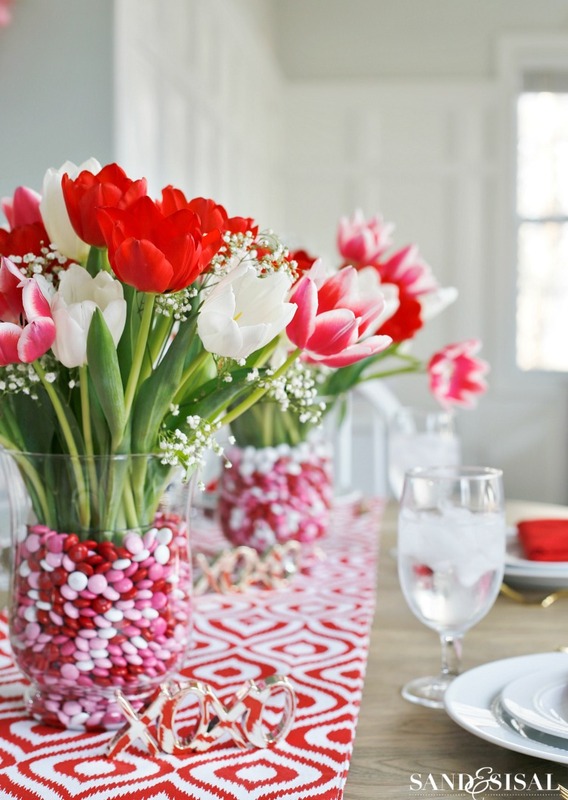 So when you make a flower arrangement with tulips, plan on cutting the stems a bit shorter because they will continue growing 1/2 – 1 inch taller in just 24 hours. Rotate your arrangement daily to help the stems maintain a more upright position. To make the tulip arrangement even sweeter I added M&M’s! Don’t worry, this chocolate is not going to waste. You can eat the candy when the flowers have faded. My kids have been caught with their hands in the vases, sneaking the chocolate. The table runner is from HomeGoods and the cute little gold XOXO’s on the table are a great Target dollar spot find. 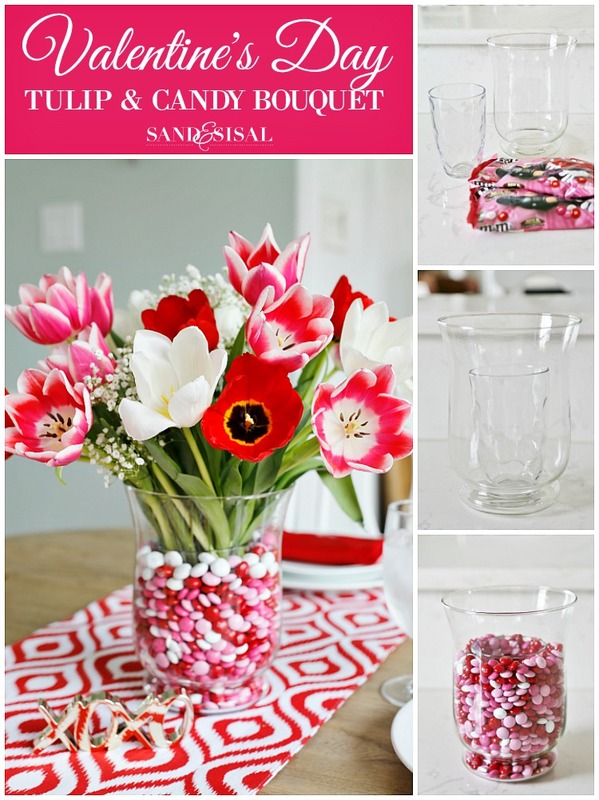 Making a Valentine’s Day tulip and candy bouquet couldn’t be simpler! 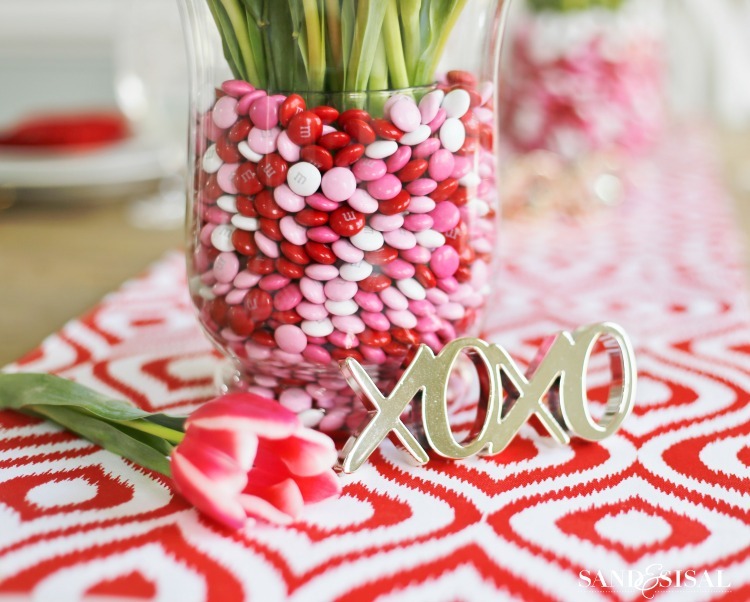 All you need is a large glass vase, a smaller glass vase or drinking glass and several bags of M&M’s, red hots, or candy sweet hearts. 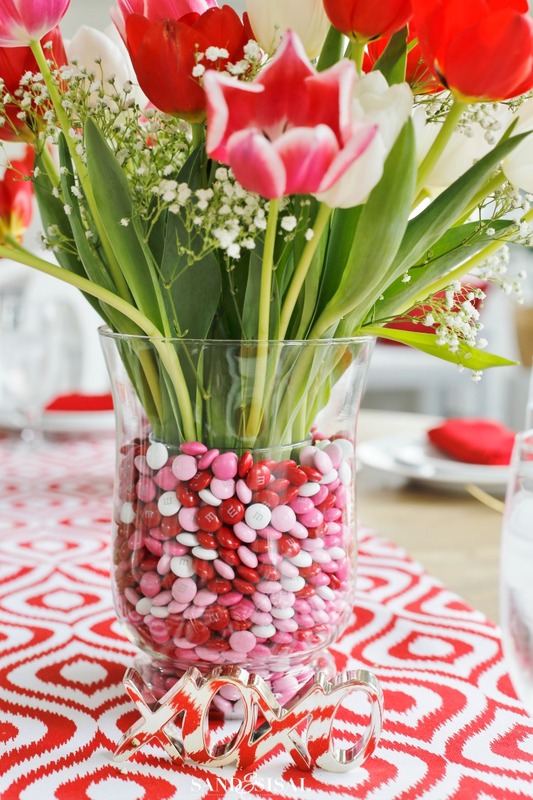 Place the drinking glass inside the vase and then pour the candy in the open space between the glass and the vase. Slowly and carefully fill the glass half way with water and then add your flowers. I’ve been having fun with creative napkin folds lately. Did you see my Christmas Tree Napkin Fold video tutorial? This cute little Envelope Napkin Fold is even easier to do! 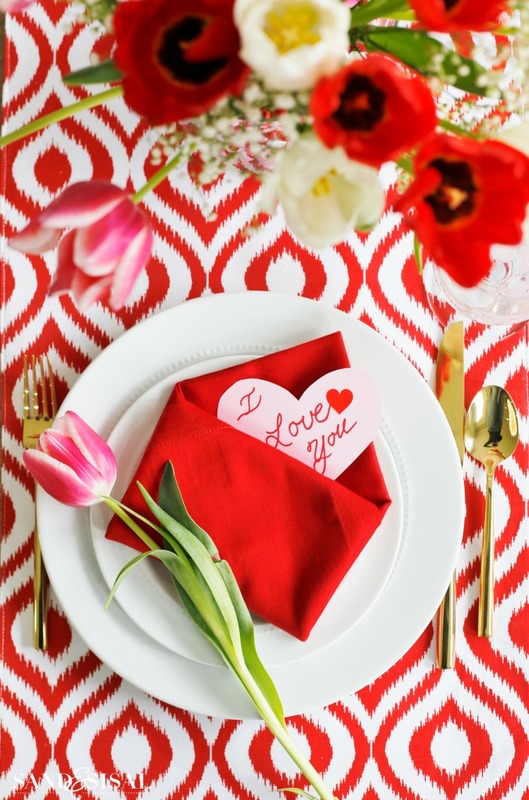 Click HERE for the Easy Valentine Envelope Napkin Fold Video Tutorial. The napkins are folded into an envelope shape and are sealed with a little heart sticker. When my family goes to unfold their napkins they will find a personalized little Valentine tucked inside. 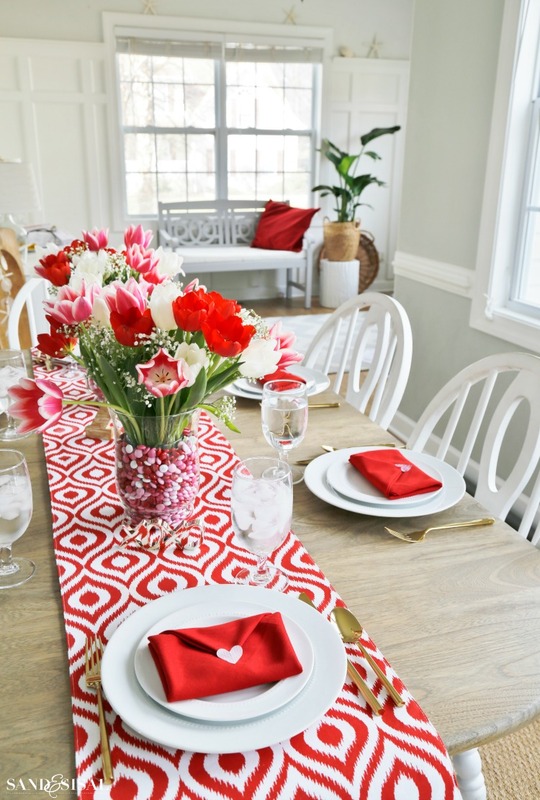 I hope you liked the red, white and pink Valentine’s Day Table Setting! 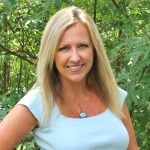 Next up on the tour is the very talented Randi Garrett Design! All the links are provided for you below if you want to catch up on the blog tour. I used to write a newsletter for a community and got heavily involved with writing a recipe page and then taking step by step photos. Many men and women of our community contributed to my monthly newsletter particularly the recipe page. The recipe section was a favourite page so here it is – enjoy. Easy peasy! beat the heck out of everything until shiny and not had any failures yet. Put boiling water, butter, and salt in a medium size saucepan over high heat. spatula, begin beating (this is where I cheat and use an electric mixer on low). batter has a satin-like sheen. dry. Remove and cool on cake rack. whatever you fancy. Top with chocolate glaze. 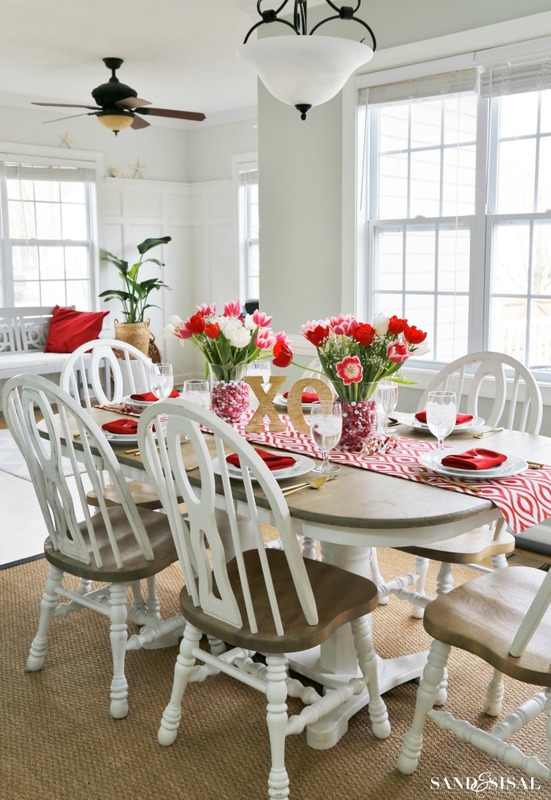 Your table is simple and elegant, and I love these ideas! 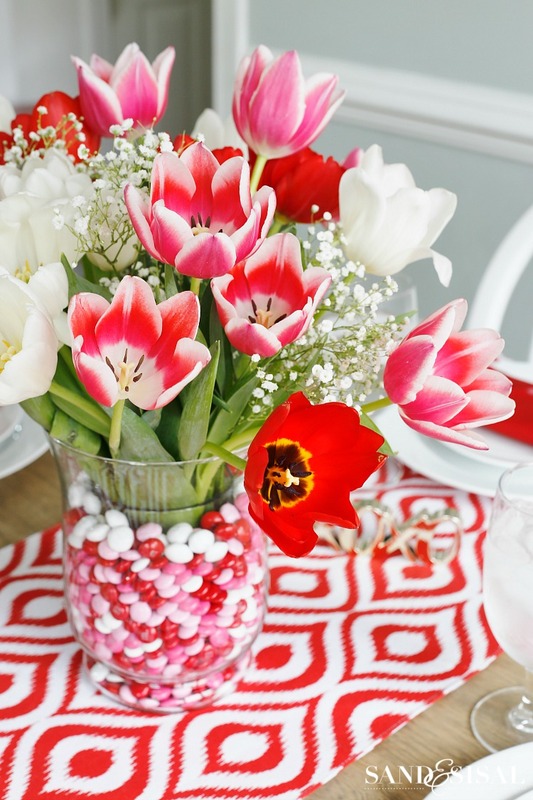 The tulips are gorgeous, and the vase with candy is very creative. Also love the napkins. You inspire me to take the time to show the ones I love that I really care. Thank you! Love the little envelope napkins so much! And I’m thrilled to be doing this tour with you Kim! Kim, I love your envelope napkins! So cute – and those M&Ms wouldn’t last in my house! Clever idea! What a lovely display. Thanks for sharing. What a stunning and vibrant table, Kim! I LOVE the runner! It’s all so refreshing!! So pretty, Kim! Those napkins are the BEST! Happy Valentine’s Day! Thanks Jamie! Happy Valentine’s Day to you too! Beautiful tablescape – and I absolutely love those napkins!!! Wishing you a wonderful Valentine’s Day! Thanks Kristin! Happy Valentines to you too!